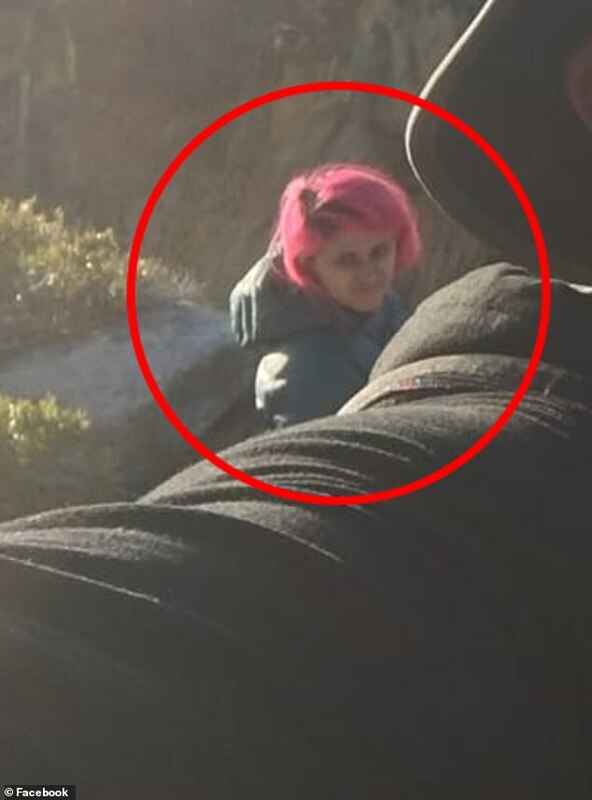 A hiker who was one of the last people to see the woman who died alongside her husband at Yosemite National Park said that the woman was sitting alone on Taft Point at dusk on the night she is believed to have died. 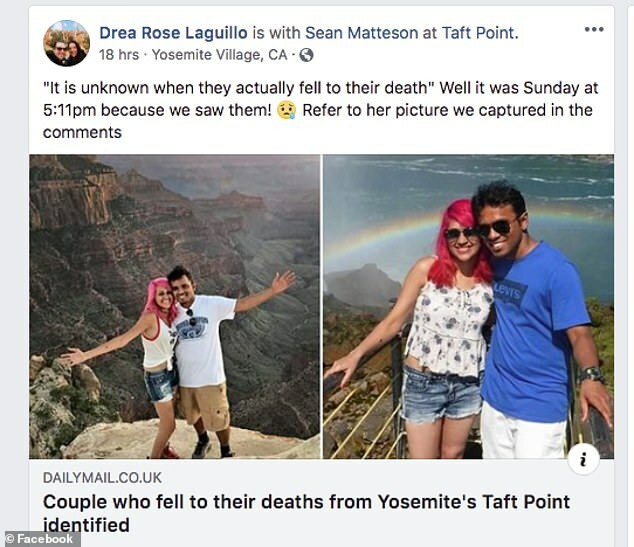 Drea Rose Laguillo and her boyfriend Sean Matteson were at Taft Point on Sunday just after 5pm, and after learning about the deaths of Indian nationals Vishnu Viswanath and Meenakshi Moorthy realized they may have taken the final photo of the pair. 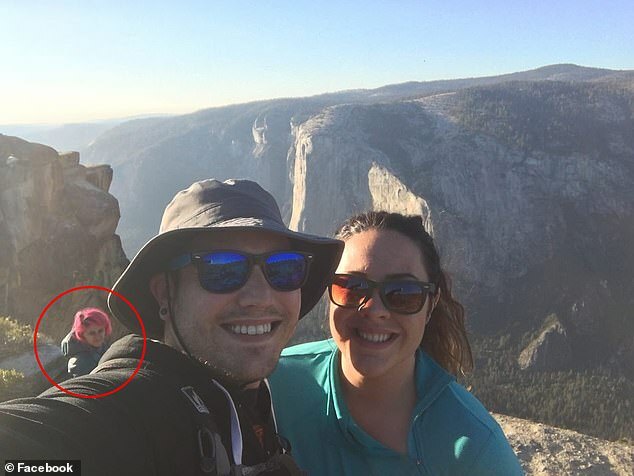 Laguillo posted the DailyMail.com story about the couple’s tragic death to her Facebook on Monday and revealed that she had a rough idea of when the pair likely went over the edge of the 800-foot cliff because she unknowingly captured one of them in her photo. ‘There were only a few people there that day, the three slack-liners, us, the couple that passed and a group of four people – two of which were taking wedding photos,’ Laguillo explained to DailyMail.com. No one saw Viswanath however, with Laguillo stating that his wife was alone the entire time she was in the area that afternoon. She also noted that Moorthy, who has filled her social media with colorful photos of herself at travel destinations, did not look as though she was preparing to take a photo. ‘Honestly even though they are known for taking photos, I did not see her with a camera at all,’ said Laguillo. She also later remembered that Moorthy was without a backpack. 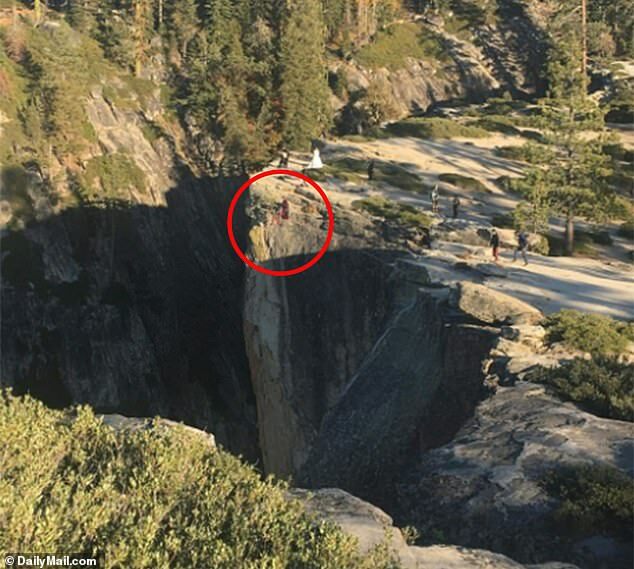 Laguillo said she just assumed the pair were there to see the sunset, and after she left Taft Point her fiance took one final photo in which Moorthy can be seen calmly perched on the edge of the cliff. ‘It gets dark extremely fast there, especially with the time change, it is very dangerous to not travel with a headlamp or flashlight at any time – even if it is in the daytime – because you never known how long you may be out,’ explained Laguillo. There is a good chance that Moorthy and Viswanath were not aware of this, having never been to the area before, which is heavily forested unlike similar landmarks such as the Grand Canyon. It is also unclear just where Viswanath was during the time that Moorthy was seen alone on Taft Point. 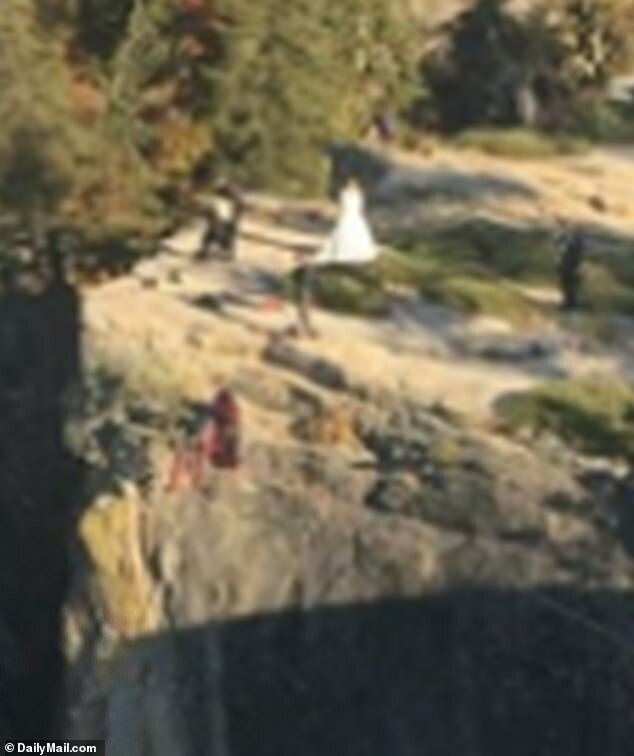 ‘I never saw him and she was alone for the whole time I remember, which was a while cause it was the whole time I was there,’ said Laguillo, who spent around an hour in the vicinity of Taft Point. Laguillo said she does not believe anything sinister happened, and thinks that one member of the couple likely fell and the other went down trying to catch them at that moment. And she added that the all-consuming darkness is coming far more suddenly as the seasons change. Sunset is around 6pm said Laguillo, and by 7pm it is almost pitch black in some spots. This is why, she explained, the death likely had less to do with a ‘dangerous selfie,’ and was instead possibly caused by two individuals who were unfamiliar with their surroundings. 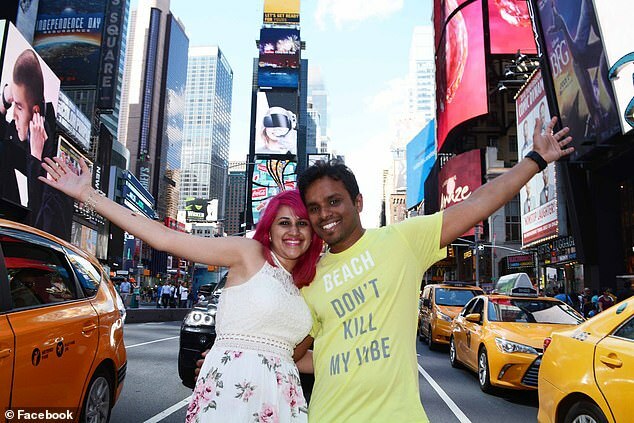 The couple were in the United States to study engineering, but also had a travel blog, Holidays and Happily Ever Afters. 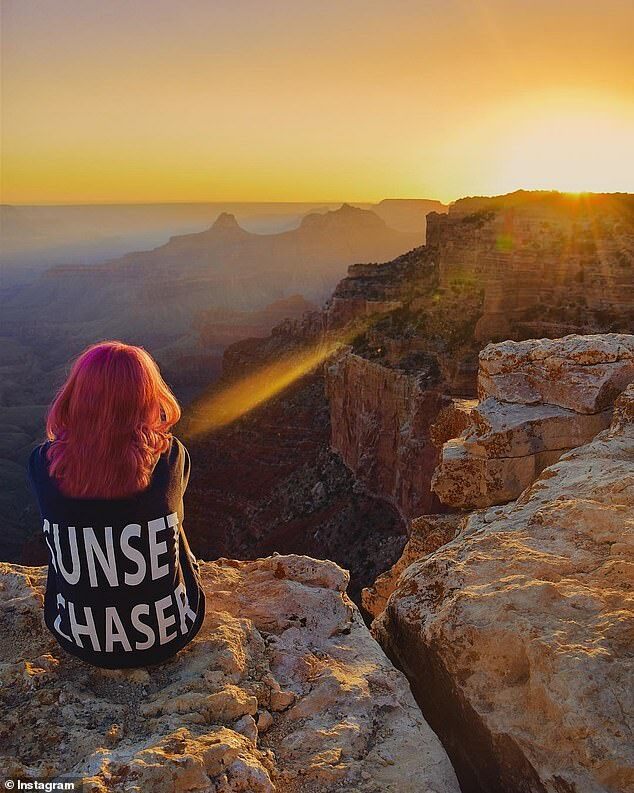 On that blog and their social media accounts the two would share photos from their adventures, including one eerie post from a trip to the Grand Canyon earlier this year. Park rangers recovered their bodies Thursday from about 800 feet below Taft Point, a vertigo-inducing granite ledge that doesn’t have a railing. Yosemite spokeswoman Jamie Richards said in a statement that park officials were investigating the deaths. This year alone they had traveled to Vermont, Arizona, New Mexico, San Francisco, New Orleans, Brooklyn, Big Sur, Baltimore, Manhattan, Holland and India. The couple met in 2009 and married five years later. They had previously been students at the College of Engineering, Chengannur, in India, where they studied engineering. ‘Our hearts go to the friends and family members of this lovely couple,’ the college wrote on Facebook in the wake of the tragedy.